Sometimes it is hard to believe that I hiked 330km along El Camino de Santiago. Before I left for the trip, friends and family were nervous for me to be taking such a journey solo at age 21. Upon telling others that I have hiked El Camino de Santiago, many are surprised that I made the journey solo. Even whilst on the Camino, other pilgrims were impressed that a “young American girl who speaks Spanish pretty well” was on the Camino. 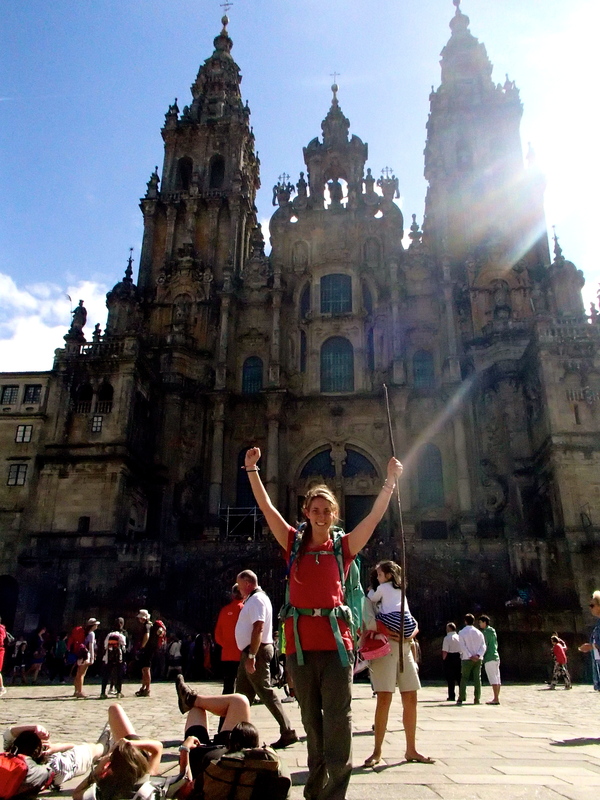 Thinking back I am so pleased that I hiked El Camino de Santiago. I learned so much about myself and others, and it made me grow as a person. 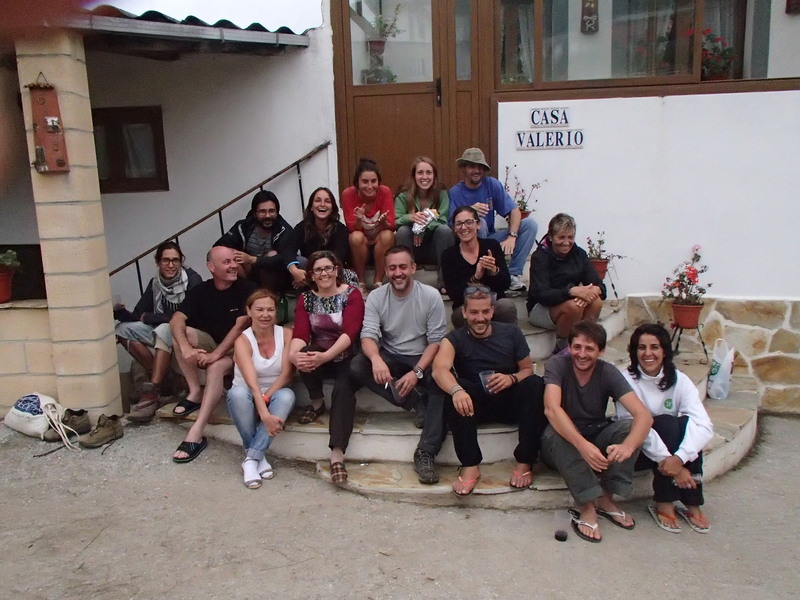 Sadly, it has been quite hard to stay in touch with people I met on the Camino, but I know there are many others out there who share my experience. Although it isn’t about the destination but the journey, one of the most touching moments on El Camino de Santiago is arriving in Santiago. I stayed in Santiago for a few days after arriving, and I kept going back to watch other pilgrims arrive in front of La Catedral de Santiago. 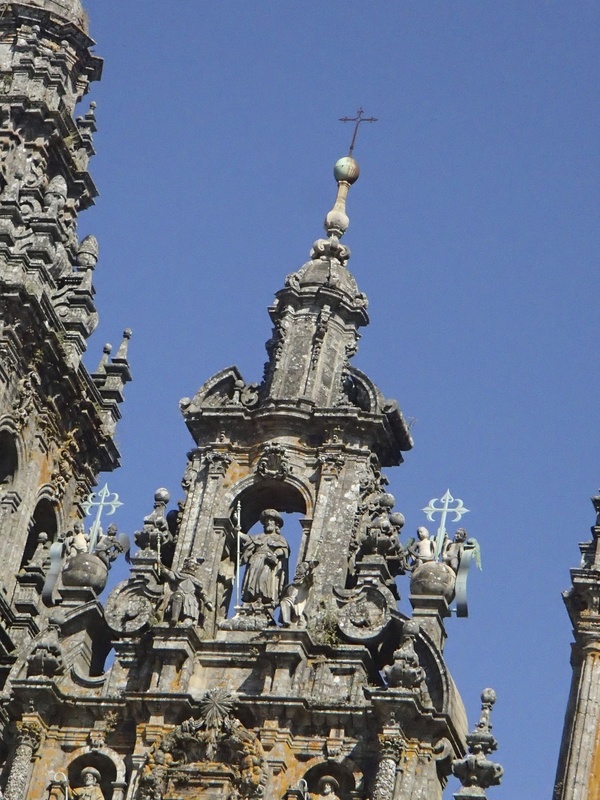 It is said that after arriving in Santiago after hiking El Camino de Santiago, if you sit in the center of the plaza and look up to the figure of Santiago in the Cathedral, you can see him wave or wink back at you. 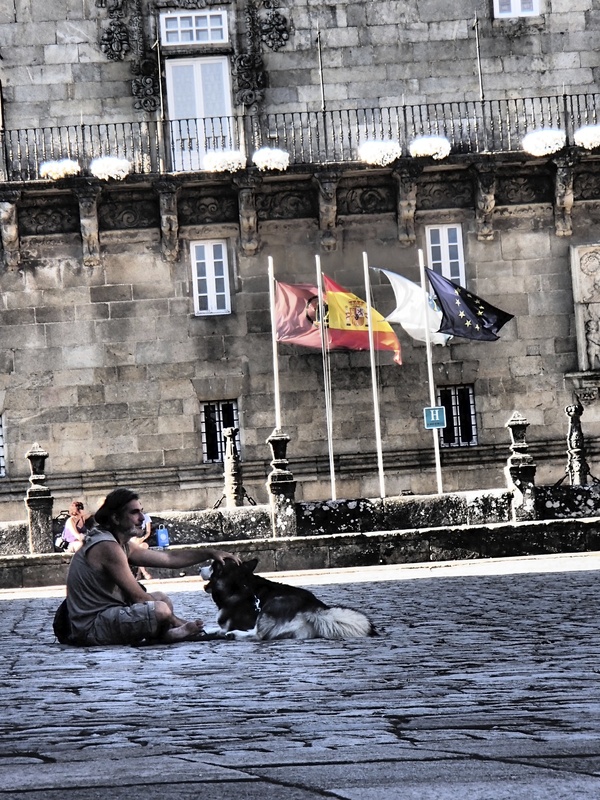 Hence, you see a lot of pilgrims relaxing in front of the Cathedral, looking up to Santiago. I hiked El Camino de Santiago Primitivo, which is one of the smaller routes along El Camino de Santiago. Because there were less people, I knew almost everyone who was walking it. I would see them at hostels some days and some days not depending on which hostel each person stayed at. Myself and the group of pilgrims got pretty close by the end. Some went ahead and arrived in Santiago a day before the others, but when I arrived in Santiago they were there to great us. We cheered “primitivo, primitivo” as we walked in, clearly distinguishing ourselves from the other pilgrims. That evening, the majority of us got together for drinks and a night on the town. 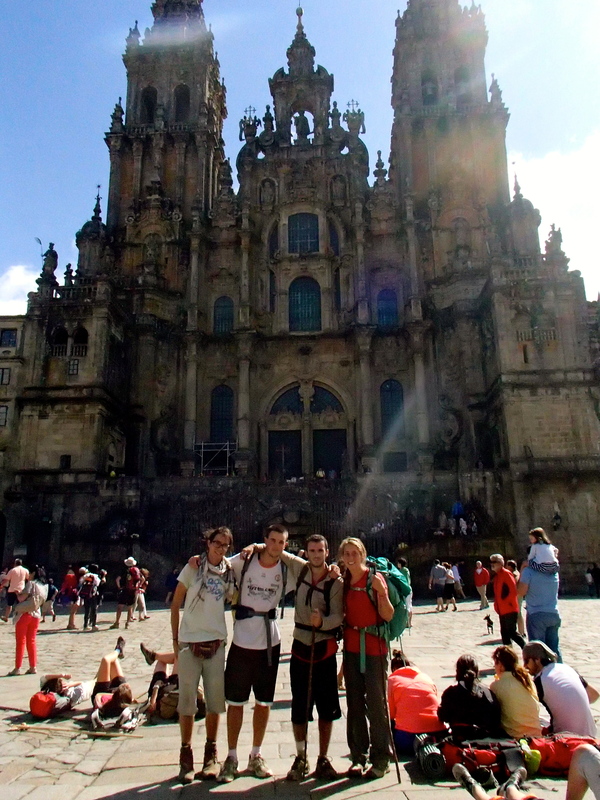 Tags: Elcamino, ElCaminodeSantiago, hike, Santiago, Spain. Bookmark the permalink. Previous post ← Souvenirs: Love them or Leave them?